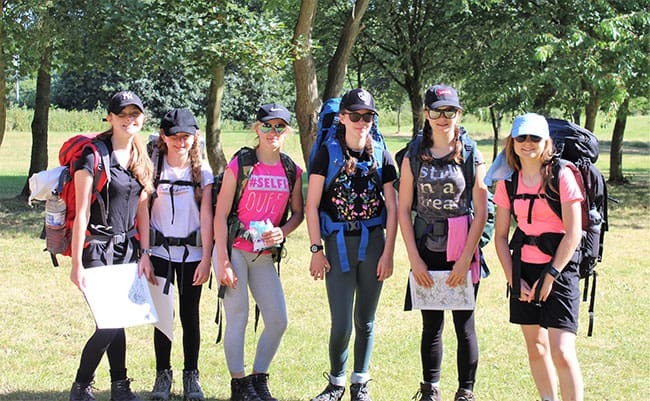 In scorching hot sunshine, 34 year 9 pupils completed their very first Bronze Duke of Edinburgh expedition, from Bretton to Scout Dyke, camping at Silverwood Scout Campsite. Lupine Adventure provided the expertise and trained each group in navigation as they walked. The groups even had enough energy to play improvised rounders at the campsite.